One big reason for the discrepancy is that many of the companies that make up a stock market engage in business overseas. 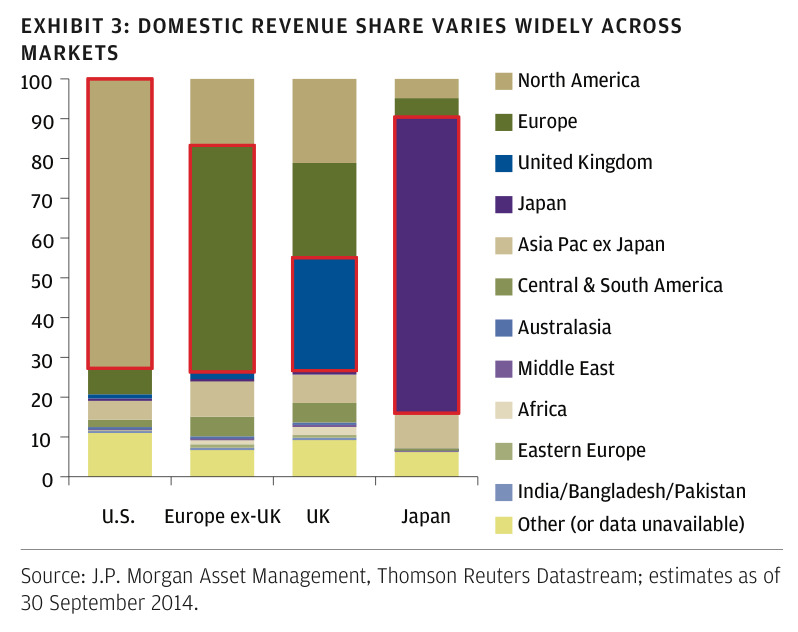 This chart from JP Morgan highlights just how much of a country’s stock market’s revenues are generated locally. 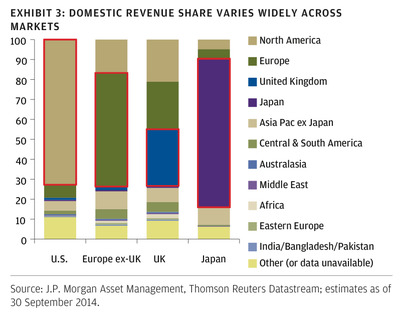 Keep this in mind before you bet on a country by betting on its stock market.